Your health needs may change over time and if they do, it’s good to know you won’t have to move again. We’re dedicated to caring for you now and into your future. 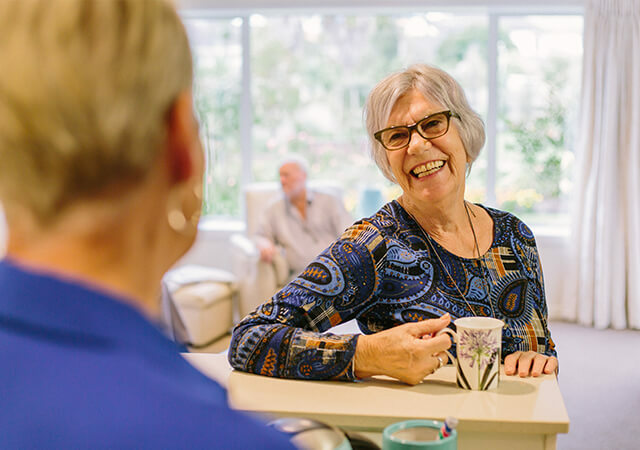 As well as independent living and assisted living in serviced apartments, Ryman villages offer low care, high care, and specialist dementia care. We also provide respite care. We welcome residents from the wider community, and because we provide a full care offering we can meet the level of need you require. As an existing Ryman resident, you will always have priority access to our care options. It is of particular comfort to couples who are at different stages in their health to know that they can be cared for within the same village. 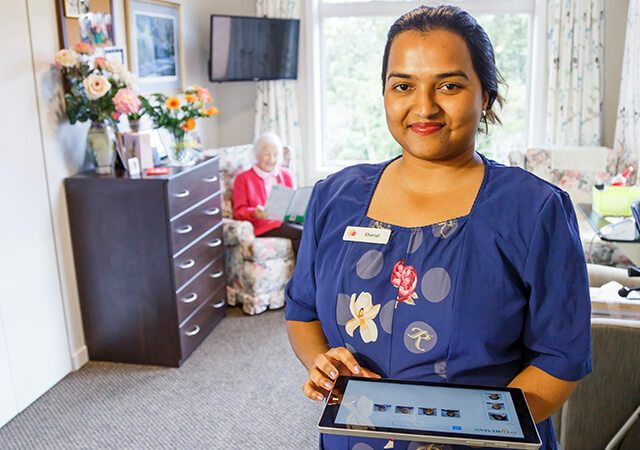 The care we provide is individualised to suit your needs. 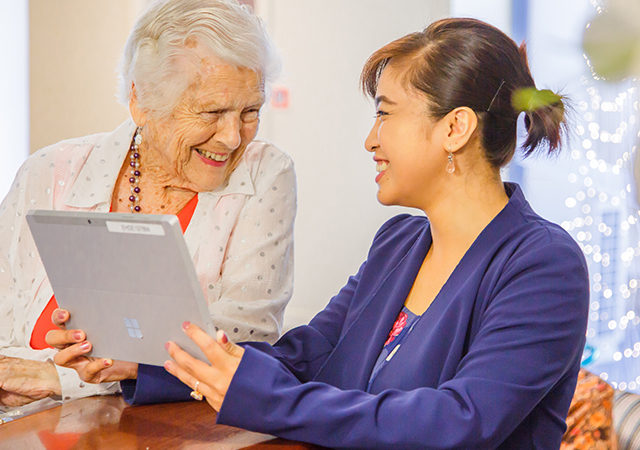 Our electronic care program, myRyman Care, provides detailed information about your needs and preferences – and it’s right there, in your care room. Low care residents receive the very best in clinical care, alongside the benefits of living in our friendly community. The care we provide is specific to your needs. Private rooms are spacious and air conditioned, with a selection of room layouts to choose from. High care rooms are similar to low care, and provide for those who have significant medical needs. Care is provided by trained caregivers and registered nurses and is overseen by unit coordinators and a clinical manager. A registered nurse is always on duty, and our on-call doctor service is always available. Wherever possible, the same staff members will care for you each day. 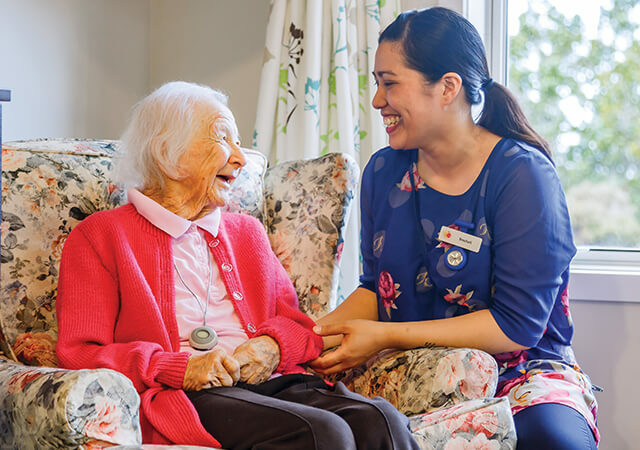 All Ryman Australian villages offer purpose-built dementia care facilities that provide a secure haven in a warm and homely environment for people with dementia. Our staﬀ specialise in dementia care, and care for residents in a positive and thoughtful way. Our centrally located nurses’ station and closed-circuit monitoring system allow staﬀ to non-intrusively watch over residents while preserving their dignity.